There’s a tiny wee Teenage Fanclub renaissance taking place just now. Last week saw the 20th (the 20th!!!) anniversary of the release of their Grand Prix LP, the album many consider to be unmatched by anything else in the band’s brilliantly rich and epoch-defining (well, in my house at least) catalogue. And also just last week, the band came together in Manchester to play a stadium show with Foo Fighters, warmed-up for with a 2 hour show the preceding evening in a small venue in Yorkshire. 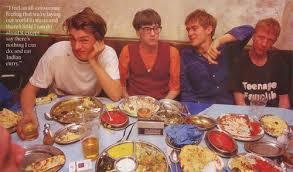 By all accounts the band were at their very best. Even Dave Grohl took time out from international rock star duties to sing their praises to Foo Fighters’ audience. 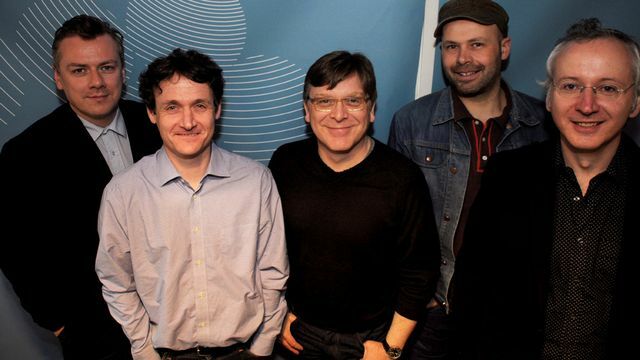 Me and Teenage Fanclub go waaaaay back. To 1990 to be precise. That summer, I caught them supporting the Soup Dragons in Glasgow’s Garage, bought Everything Flows on 7″ a few days later and set off on a proud run of buying each record on release day and catching the band play live at least once a year every year until 2014, when they had the audacity to play a rare gig at the refurbished bandstand in Kelvingrove Park on the same night I had chosen to book Glenn Tilbrook to play a tiny venue in Irvine. Glenn was good…..but he wasn’t Teenage Fanclub. Not that you could tell, but I’m still irked somewhat that I missed the bandstand gig that night. When the TFC started out, they were ramshackle to the point of comedy. Their gigs, a right ramalama of long hair and Marshall-stacked riffs, were punctuated by false starts, broken strings and the erratic antics of Brendan on drums. Lurking underneath the friendly shambles though was a set of melody-rich songs doing their best to burst out of the confines of the plaid shirts and band in-jokes. Second single God Knows It’s True is a little lost jewel in an embarrassment of riches. The bridge between the gaffa taped DIY of A Catholic Education and the power pop sheen of Bandwagonesque, God Knows It’s True is rough-’round-the-edges indie rock; guitars-turned-up-to-10 and howling like Neil Young in the eye of a hurricane, with a saccharine-sweet minor key chorus that repeats ad-infinitum to the end. As it’s playing just now I can picture the band on stage in King Tuts, guitars slung low and heads bowed lest the 3 frontmen clatter their heads off of Tuts’ roof. “God knows it’s true, but I think that the devil knows it too.” CLANG! CLANG! CLANG! CLANG! Der-Der-De-Der De Duh-Duh-Duh-Duh-Duh! 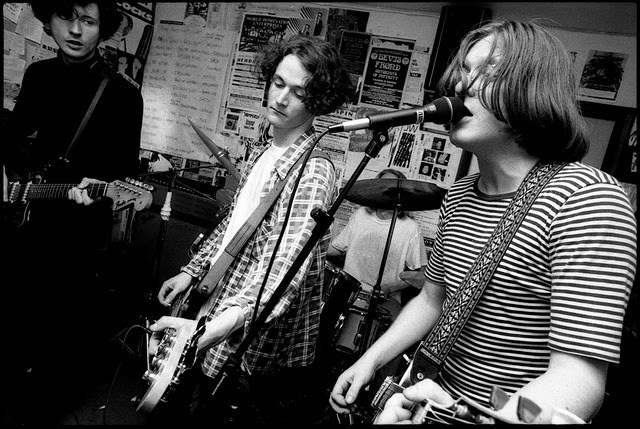 By the time Bandwagonesque came to be committed to tape, the band were in a rich vein of songwriting form and had taken to recording their valve-driven amps at full volume, mic’d up inside cupboards so as not to blast out any windows within a 20-mile vicinity. But you knew that already. An interesting metamorphosis has taken place over the course of the band’s career. The hair, once “down my back” has crept slowly upwards. Add an extra member who can enhance the live sound with subtle keys and all manner of instrumentation and stick some necessary yet tasteful spectacles on the faces of half the band and Teenage Fanclub now resemble a quintet of slightly trendy science teachers, the kind of teacher who’d be equally at ease telling you the properties of the most obscure chemical elements in the Breaking Bad titles and be able to point out a major 7th chord on Love’s Forever Changes LP. Then shuffle on and rock out at the end of year school prom. And as the hair has shortened, so too have the guitar solos. They’re still there, but they’re not at the forefront of everything anymore. The focus these days seems to be on the melody and the power of the backing vocal, and there ain’t nothing wrong with that. There’s no finer sight in live music than when the 3 frontmen step forward as one to harmonise the opening lines of About You. None. Sometimes I Don’t Need To Believe In Anything from the aptly-named Shadows LP (where the band have been in the intervening 5 years since its release) sums this up brilliantly. A softly sung vocal from Gerry builds into a brilliantly-layered harmonising ba-ba-ba outro, creating a super soaraway sunshine pop song. Beach Boys by way of Bellshill, if you will. The next TFC LP is due at some point this year. Whether the guitars have regained their room-filling volume, or whether the vocals are now competing for ear space with flutes and strings, I don’t mind. Nor, I suspect, do the legions of getting-on-a-bit-now men (and women…women like TFC too, y’know) eager for a new slice of Fanclub action. I cannae wait. 1. Both Gerry and myself are West of Scotland Our Price alumni. Despite numerous training days and the parochial nature of the job, we never knowingly met at the time. 2. Gerry contributed to this rather fine 6 Of the Best many moons ago. I met him quite by chance afterwards when he was DJing in a pub and I thanked him heartily for participating. My Fanclub fanboy conversation was such that he missed the start of the 7″ he’d queued up to play next on the turntable. Jam Master Jay he is not. Everyone’s favourite spectacle-sporting singer from The Best Band In The World…Ever (that’ll be the Teenage Fanclub) Norman Blake is no stranger to the odd side project or two. 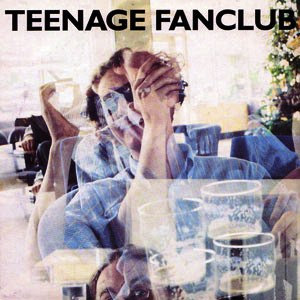 As well as playing in parallel with TFC and BMX Bandits until 1991 when, let’s face it, Teenage Fanclub became really really good and so much better than the Bandits, he’s also added his golden chords and vocals to records by The Pastels, Kevin Ayers, the Trashcan Sinatras and Bill Wells. And he plays tonight in Glasgow alongside Gorky’s Euros Childs. A walking side project for hire, the Bellshill Beach Boy knows them all. This, then, is as good a time as any to point you in the direction of a few Norman Blake curios. 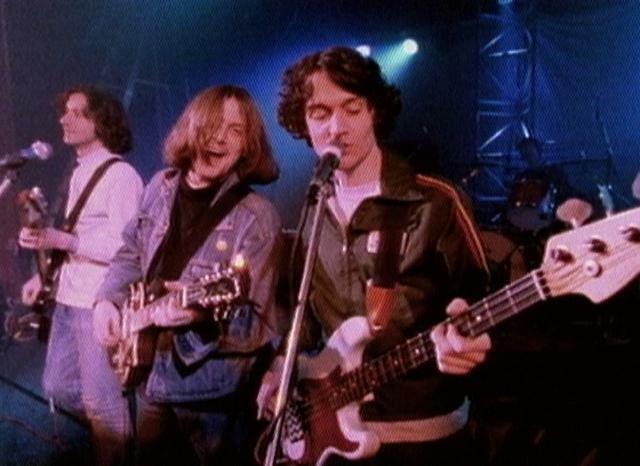 Tracks that may have slipped underneath your Teenage Fanclub radar but would undoubtedly have become firm favourites by now, were they to have been presented as Teenage Fanclub records. In the mid/late 90s Norman teamed up with future Fannie Francis MacDonald as Frank Blake and in ’96 recorded a one-off limited single for Shoeshine Records. Being a collector of all things Fanclub-related I naturally have a copy. ‘Don’t Let Love Pass You By’ is a slice of classic Blakery – a mid-paced love song with typically tricky jangling chords here and there. It even has the grace to start with the chorus so you know how it goes after the first 20 seconds. ‘Plastic Bag’ is a bit different. It sounds, for want of a better word, ‘light’, as in the total opposite of AC/DC. It passes by pleasantly enough, but those wonky keyboards and acoustic guitars have always been a bit too twee for these ears. Sorry Norman. Lastly, tucked away at the very end of a 2001 Shoeshine Records sampler I have ‘You Don’t Have To Cry’ by Frank ‘Jackson’ Blake. There are no sleevenotes with the sampler and I can find no information about this song/band line-up at all. I can only assume this is Blake, MacDonald and Belle & Sebastian’s Stevie Jackson, but I may be wrong. In any case, this track is a belter. It sounds like something the Everly Brothers would have done some time in 1961. In fact, ‘You Don’t Have To Cry‘ sounds so good it has to be a cover. Right? I think it’s a Gene Clark song. Yeah? It sure sounds like it. Someone help me out here. I’ve had this picture for ages and was looking for any excuse to put it up here. Cracker, eh?